The challenge of buying a home for the first time can seem so daunting that it's tempting to either just go with the first house that falls in your price range or continue to rent. To help you demystify the process and get the most out of the purchase, we'll examine what you'll need to consider before you buy, what you can expect from the buying process itself, and some handy tips to make life easier after you purchase your first home. The first thing you'll need to determine is what your long-term goals are and then how home ownership fits in with those plans. It could be that you're simply looking to transform all those "wasted" rent payments into mortgage payments that actually give you something tangible. Others see home ownership as a sign of their independence and enjoy the idea of being their own landlord. Narrowing down your big-picture homeownership goals will point you in the right direction. 2. What specific features will your ideal home have? While it's good to retain some flexibility in this list, you're making perhaps the biggest purchase of your life, and you deserve to have that purchase fit both your needs and wants as closely as possible. Your list should include basic desires, like neighborhood and size, all the way down to smaller details like bathroom layout and a kitchen that comes with trust-worthy appliances. 3. How much mortgage do you qualify for? Before you start shopping, it's important to get an idea of how much a lender will actually be willing to give you to purchase your first home. You may think you can afford a $300,000 home, but lenders may think you're only good for $200,000 depending on factors like how much other debt you have, your monthly income and how long you've been at your current job. 4. How much home can you actually afford? On the other hand, sometimes a bank will give you a loan for more house than you really want to pay for. Just like with the purchase of a new car, you'll want to look at the house's total cost, not just the monthly payment. Of course, looking at the monthly payment is also important, along with how much down payment you can afford, how high the property taxes are in your chosen neighborhood, how much insurance will cost, how much you anticipate spending to maintain or improve the house, and how much your closing costs will be. 5. Who will help you find a home and guide you through the purchase? A real estate agent will help you locate homes that meet your needs and are in your price range, then meet with you to view those homes. Once you've chosen a home to buy, these professionals can assist you in negotiating the entire purchase process, including making an offer, getting a loan, and completing paperwork. 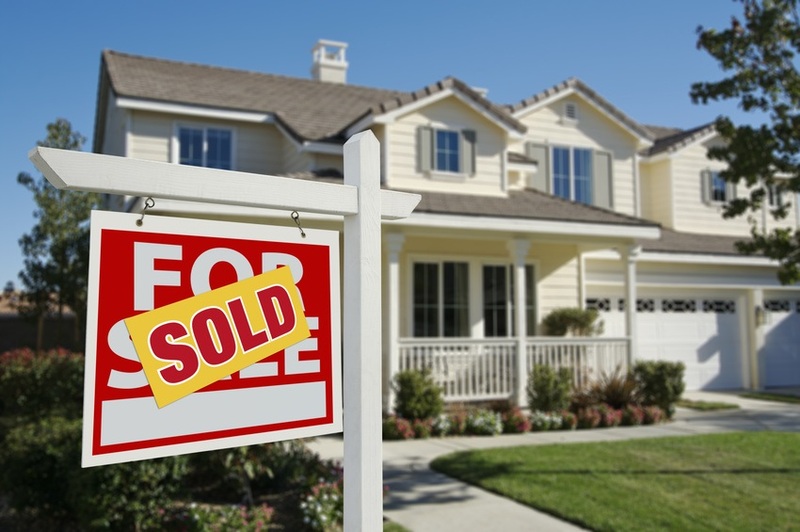 A good real estate agent's expertise can protect you from any pitfalls you might encounter during the process. Your real estate agent will help you decide how much money you want to offer for the house along with any conditions you want to ask for, like having the buyer pay for your closing costs. Your agent will then present the offer to the seller's agent; the seller will either accept your offer or issue a counter-offer. You can then accept, or continue to go back and forth until you either reach a deal or decide to call it quits. If you reach an agreement, you'll make a good-faith deposit and the process then transitions into escrow. Escrow is a short period of time (often about 30 days) where the seller takes the house off the market with the contractual expectation that you will buy the house - provided you don't find any serious problems with it when you inspect it. Even if the home you plan to purchase appears to be flawless, there's no substitute for having a trained professional inspect the property for the quality, safety and overall condition of your potential new home. If the home inspection reveals serious defects that the seller did not disclose, you'll generally be able to rescind your offer and get your deposit back. Negotiating to have the seller make the repairs or discount the selling price are other options if you find yourself in this situation. If you're able to work out a deal with the seller, or better yet, if the inspection didn't reveal any significant problems, you should be ready to close. Closing basically involves signing a ton of paperwork in a very short time period, while praying that nothing falls through at the last minute. Things you'll be dealing with and paying for in the final stages of your purchase may include having the home appraised (mortgage companies require this to protect their interest in the house), doing a title search to make sure that no one other than the seller has a claim to the property, obtaining private mortgage insurance or a piggyback loan if your down payment is less than 20%, and completing mortgage paperwork. Congratulations New Homeowner ... Now What? You've signed the papers, paid the movers and the new place is starting to feel like home. Game over right? Not quite. Let's now examine some final tips to make life as a new homeowner more fun and secure. With homeownership comes major unexpected expenses, like replacing the roof or getting a new water heater. Start an emergency fund for your home so that you won't be caught off-guard when these costs inevitably arise. With the large amount of money you're putting into your home, you'll want to make sure to take excellent care of it. Regular maintenance can decrease your repair costs by allowing problems to be fixed when they are small and manageable. It doesn't matter what your home is worth at any given moment except the moment when you sell it. Being able to choose when you sell your home, rather than being forced to sell it due to job relocation or financial distress, will be the biggest determinant of whether you will see a solid profit from your investment. Even though you own a home, you should still continue to save the maximum in your retirement savings accounts each and every year. Although it may seem hard to believe for anyone who has observed the fortunes some people made during the housing bubble, you won't necessarily make a killing when you sell your house. If you want to look at your home as a source of wealth in retirement, consider that once you've paid off your mortgage, the money that you were spending on monthly payments can be used to fund some of your living and medical expenses in retirement. This brief overview should help put you on the path towards filling in any gaps in your home-buying knowledge. Remember that the more you educate yourself about the process beforehand, the less stressful it will be, and the more likely you will be to get the house you want for a price you can afford - and with a smile on your face.